Halloween Humour – A Podcast, Recorded live in a Graveyard… with Wine! 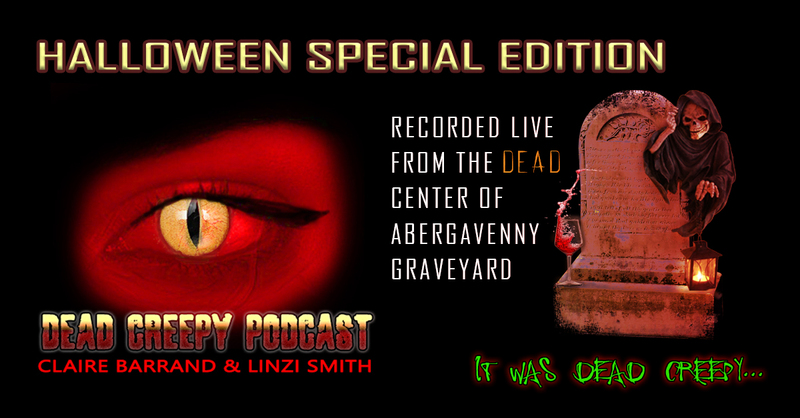 Dead Creepy Podcast was recorded “live” from the dead center of Abergavenny, South Wales UK in a graveyard. Join us, Claire Barrand and Linzi Smith on this investigation with raw footage, as we sit in a graveyard at midnight especially to record this creepy light-hearted and humorous podcast. Whilst enjoying a bottle of wine, we discuss some of the Celtic traditions of Halloween. a STRANGE title for this article? a strange question altogether? Well apparently not, this is actually a question commonly searched, and i wanted to reflect on this question for the people searching this question! Ghost hunting is a term used by people who go out looking for evidence of the afterlife, do ghosts exist? is there life after death? is there ghost things as spirits, angels, demons etc… so is ghost hunting real? of course it is. Some people prefer a different terminology for ghost hunting, such as paranormal investigating, some people feel the word ghost hunting isn’t professional and limits them to what they are “researching” paranormal investigating is much more of a wider spectrum to investigate and sounds much more professional. So yes ghost hunting is real… BUT are the ghosts real we looking for? In the community of the paranormal you have a few categories of people and agendas / paths, Some will be dedicated to research going to places and seeing what it has to offer. Some will be doing it as a business and sell tickets “ghost hunts”, Some will be doing it for fun and entertainment.. So really thinking about it, its not a stupid question after all, i rather do see why people have searched the question. with a complete mix of agendas in the field i guess it can misdirect people as to what we are really doing here, as we see all different people leading all different paths and doing different things in different ways. 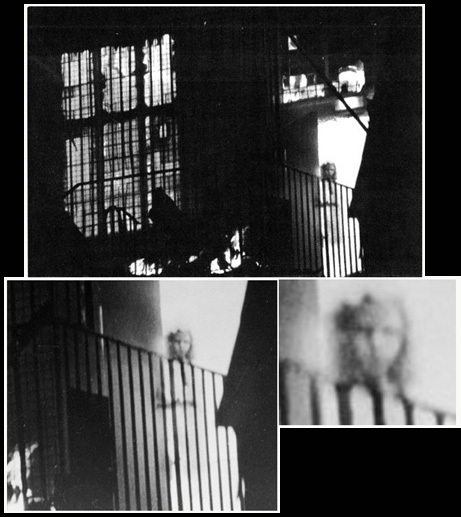 The “ghost” we are hunting “researching” “investigating has not yet scientifically been proven to exist. What do you think. Please feel free to comment and share your views. Watch “Great British Ghosts” TV Show Season 01 Episode 01. We at paranormal magazine are bringing to you some golden old paranormal tv shows to watch right here from our spooktacular site, Starting with “Great British Ghosts” S01E01 – The Mermaid Inn, Rye | Supposedly one of most haunted inns in Britain with five resident ghouls! SIT back and prepare to be spooked at Michelham Priory. Welcome to Dead Creepy Podcast! Hello to all Paranormal Magazine followers! We are Claire and Linzi, hosts of Dead Creepy Podcast, we like to describe our podcast as a mishmash of light-hearted paranormal based humor with some informative and interesting guests occasionally making an appearance too! We have been described as ” The Paranormal Loose Women” … Basically… we don’t take ourselves too seriously and want to bring a fun element to Paranormal podcasts. Each podcast is very different, we have bedtime stories to chill your soul and also some spoof stuff – check out Para-Paddy, (who has kicked off in the paranormal world?) Para News and also Skeptic’s View with our resident skeptic Daryl Whitebottom. Please head over to our Facebook page and give us a like! Below is our playlist from episode one on Youtube, so you can check out our past episodes, but we are also available to download on iTunes, Podbean and Stitcher so please follow us and we always appreciate feedback and reviews of course! This year the project reveal team visited the alleged most haunted object in the world that goes by the name of “the Anguished man” to do a documentary. This documentary was to get the story of the painting and the story of sean’s experiences with the painting, we had no intention of meeting the painting, and was very grateful of sean bringing the painting along to the interview and allowing us to spend some time with this truly ONE of a kind painting. Painting is alleged to be painted in the blood of the person who painted it. Followed lastly by a strange hissing sound – Please use headphones to listen to the video captures thank you. we have set the start time of the video below for you to see the strange captures.. If you find this article interesting we invite you to watch our full documentary on this truly creepy scary piece of work called the anguished man. The official Facebook fanpage of the painting is here. Also the real youtube channel. Please Re share this article, Comment and Embed on your sites. 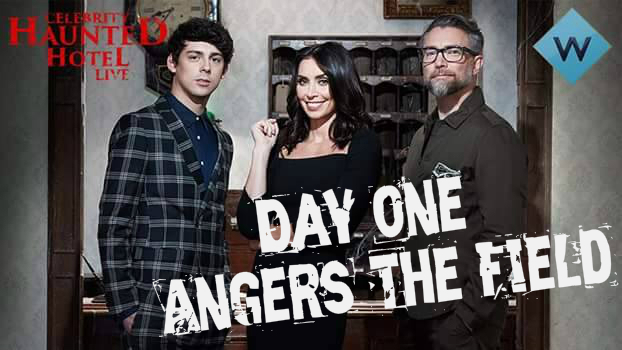 Celebrity Haunted Hotel Live -Day ONE – Angers The Field – Stitched Up. Article is written based off viewer responses of the launch of the new tv show Celebrity Haunted Hotel Live. So what did justin do? The Experts in this show are not to blame, so lets not go hating on them..
Any evidence of a fake or fraud show, will spoil the entire shows image. Its better to produce your own show, so you have full control. It will be interesting to see how the investigators handle the cold harsh news before day 2 – alot of emotions will be running wild. but i think we all need to realise these people are not to blame, if i was in that lineup of people i wouldn’t be returning the next day..
What will day TWO bring? We will Be watching the social response to the show. We Are Project Paranormal. A team of 4 people all interested in the paranormal, all respected within the paranormal community, and we have merged together from 2 teams, Ghosts of Britain and Knight Templar Paranormal order. Together we are called Project Paranormal A team YOU CAN TRUST. No faking, no acting, no scare mongering, We aim our shows to show a true investigation in its real form, and we base our SKY TV show, on Education and not entertainment. We are going to brings New Methods, New Experiments, Fresh Content, Fresh Ideas Which you will all enjoy. Lets take a look at each person within the team now. So that is about about the members of Project Paranormal. Please Keep Checking Our Fan page for the latest News, Here are some recent posts You are missing out on!!! Project Paranormal – New Ghost Hunting TV Show Coming Soon To A Sky Channel, Free-sat, Free View. A perfect blend of investigators with many years experience under their belts, we will be sure to not run away with the fairy’s, A TV Show not based on VIEWER Entertainment, But based on Viewer Education, giving you all the real points you need to consider. Paranormal Investigator Exposed Part 2 – The Aftermath!!! Truth be told i didn’t want to publish these next findings… but certain individuals have been saying “MR steer has been Quite” and like im hiding away.. WRONG.. i have been very vocal about everything put to me.. its just a shame not everyone would come to me to put any questions forward… So here goes the next mile stones.. and i am truly sorry.. So upon posting the news of this investigator, this is what happened.. He then later replied with this..
Lee SteerBe carfull Tom that looks like a threat.. So MR t eventually replied with an answer for what the image “could be” but for me the image doesn’t match” it still leaves loads of questions about the original video. He fasty went onto name calling “idiot” and threatening with law suites, then also threatens me with non stop abuse until i apologise “does this seem like someone who is guilty or Innocent ? We then offered MR T a lie detector Test to prove this is infact real evidence and not faked. Now considering all of the evidence i have seen on the pictures, videos, there is no doubt in my mind that we have seen faked paranormal acitivty.. sorry to say it but i will stand by what i say… that is my opinion and thats the last i will say on this matter.. hopefully this is more content to make “more” people make up their minds on weather this is fake or real! now i think this debate may continue but i personally have seen enough to convince myself and i know many others have..
We Consider This Case Closed..
Feel free to debate the case, But we will stick with out original statements based on the evidence we have seen. i really do feel there was enough evidence out there to make peoples mind up, all they have to do is read and research, so i apologise again for another article. My Top 5 Best Methods Of SPIRIT Communication. As paranormal investigators we are all looking for the best and most effective way of communicating with the afterlife, Whether you are a skeptic or a believer initially we are all still trying to find different ways and different methods to achieve this. Ive decided to list my top 5 ways of best ways to communicate, as always i am not saying that this is the best way I’m saying that in my opinion it is. I also think its extremely important that when you are collecting evidence it is done correctly and you are looking at all the sides of the coin, because lets remember guys we are trying to prove the existence of the afterlife and if this isn’t done correctly then how is it ever going to happen. I think the best kind of evidence you can collect is through a recorder, but only if you have searched the area for any contamination that may influence your recordings and have taken all these into consideration, for example how far is the road from where you are?, can traffic be heard?, any water dripping from anywhere?, any holes in the walls where noise could leak through? The best places to capture EVPS is in a room where there is hardly any, that way if you have caught something, its harder to explain. I would also advise that if you are conducting a EVP session to do it alone or with only 1 other person and to record on a camera your session. 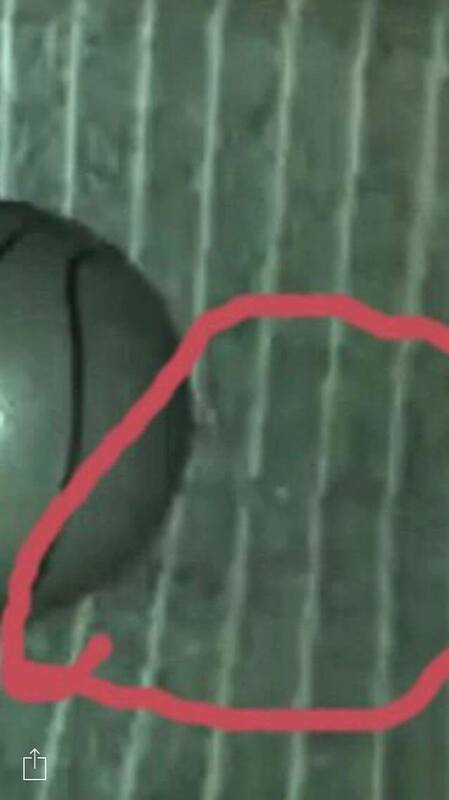 This way you can review back to the exact point in time if you have caught something and rule out that it was yourself or the other investigator, it also shows others that your evidence is more true and lets be honest if you caught it on the recorder and the camera, you would be leaving a lot of skeptics stumped to what it could be. I would also advise to do only short bursts, so ask a question give it a while, stop recording, and so on this way it will save a lot of time when reviewing. If you are leaving a recorder in room to conduct a session, then put a camera on it and the surroundings, because this then can back up that no body was in the room etc. Also if you are leaving it in a locked off room, only conduct the session for a hour maximum, this is going to be a lot easier on yourself when reviewing. Audacity smile emoticon, well what can i say about audacity, i think its brill for them EVPS that are whispers to enhance the sound on it (EVP B’s), so that you can hear it clearer, but i think it crosses a line when you pick something up, highlight it, put a ton of effects on it and make it fit. I think personally if you think you may have caught a EVP C, it shouldn’t be touched, you could go into it yourself and see what is trying to be said and when you are back at the location where it was picked up, try and press the conversation on this again, but in terms of providing it as evidence, I wouldn’t. Am pretty sure that if i put a recorder in my kitchen, next to my fridge (which makes sounds) left it recording for a minute and reviewed this file in audacity and added a ton of effects to it to sound what i wanted it to say, then it would in some way, especially then if i influence you by telling you what i think it says beforehand. I will try this experiment out at some point to see if what I’m saying is correct. The best EVP’S are caught when you are video recording the session, if its a EVP A OR B and you have used little or no effects on it at all in my opinion. What we experience and feel on a investigation is one of the best forms of communication and evidence you could have for yourself, even though it can’t necessary be put across as evidence as it is only a personal experience, you know yourself how you are feeling, what you have seen, heard, smelt and felt and nobody can take that away from you. I think as long as you keep a level head, try to react calmly and think logical at times then you know what you have experienced is for real and like i say its evidence for yourself if it isn’t for anyone else. I think its important to have a medium on any kind of investigation, it builds that engery needed to communicate, Many may say well mediums can influence a investigation, yes they can to a degree if you let them but if they connect to a spirit and build that bond then the results can be amazing to watch and experience. I think if you have a medium on your team, and you are going out to investigate then don’t let on to where you are going, this way you know they haven’t researched the location prior to the investigation and yes there is the doubt that they may know a little about the location beforehand but you know how they work and you know how genuine they are. I do believe that at least one member of the team must research the location before investigating though to know exactly of the sightings, activity linked there and its history because when calling out this can be a good way of connecting and to some extent building that engery, sometimes mentioning past events that have been known there or people linked to the location as sometimes sparked some very good activity. So your spirit boxes, Echovox, any kind of ghost app that states that it can communicate. This kind of equipment takes some slack but all i would suggest is don’t knock it until you have tried it. Are the creators to be trusted? who knows but this is moving forward and we are now able to know exactly what is being put into the banks, how its chopped up in some cases you can reverse it. It is quite known that when we have had our love ones die our phones have gone funny, the stereo starts playing up etc, lights flicker and bulbs are blown, I am a massive believer in that they can put their energy into using these things. We are a energy source so when we pass why wouldn’t we put our engery into another engery source? and I think has we are more technical minded these days, so when we pass just think of the evidence people may be producing, we would use these methods more because we know how to and would be less frightened too as we are familiar with it, Having used the Echovox myself it has produced some interesting results many times, which i can say has related to where i am or who i am with. The same with a SB7 spirit box, it has produced some interesting results, whether you believe it is just the radio or not, some of the words and sentences that come from these can fit to where you are, what you are doing and who you are with. I think its a great engery builder and at least worth a try to at least try and communicate in some way. Now not everyone will agree with this but in my personal experience, i have always found that more paranormal activity has happened when i have done a circle first, when i say a circle i mean, all members of the team stood in a circle holding hands, placing a protection over the group and calling out, introducing yourselfs, reasurruring that you mean no harm, you are there to communicate and you are there with respect. My biggest pet hate is provoking, i hate to hear it i really do, i just think to myself if spirits do exist they used to be human, would you speak to a person walking down the street like that no you wouldn’t, i can understand why people do, to gain a reaction, but in all honestly everyone who I have seen do it hasn’t got a reaction and is left looking, sorry, but in my opinion a little foolish (even though after hearing it i have thought to myself, yes go on throw a brick at them it would serve them right if you knocked them out) but that would be giving them what they want and i think if the spirit world exists it doesn’t work how it does here. More activity has happened when I have been with respectful investigators. Even if you are skeptical and do provoke just remember that ok you don’t believe, but have a bit of respect for the building and the people who have died there and its current owners, as walking round swearing, throwing things and shouting doesn’t look much good to anyone passing. I think doing a circle is a great engery builder and i think you can scatter your equipment round to see if anything will be set off and i think a lot is experienced on a more personal level. 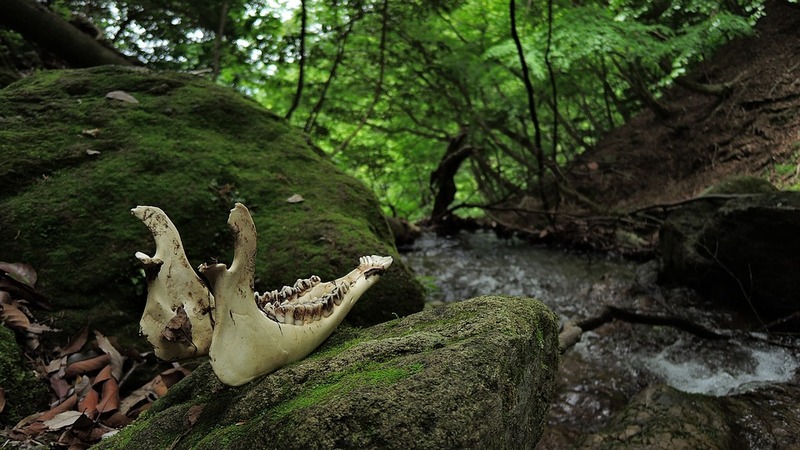 What creepy scary places made it into her top 5 list??? What is your top 5 most haunted locations? Welcome back to paranormal magazine. Founder lee steer will be going live 6pm Sunday. UK time. to answer your paranormal questions. Pease click onto the YouTube page, and leave your questions ready! We hope to see some good questions on the paranormal.